Your new favorite breakfast is here - flaming hot chocolate pancakes. You like chocolate? Good. And you like chili? Well, that's great! 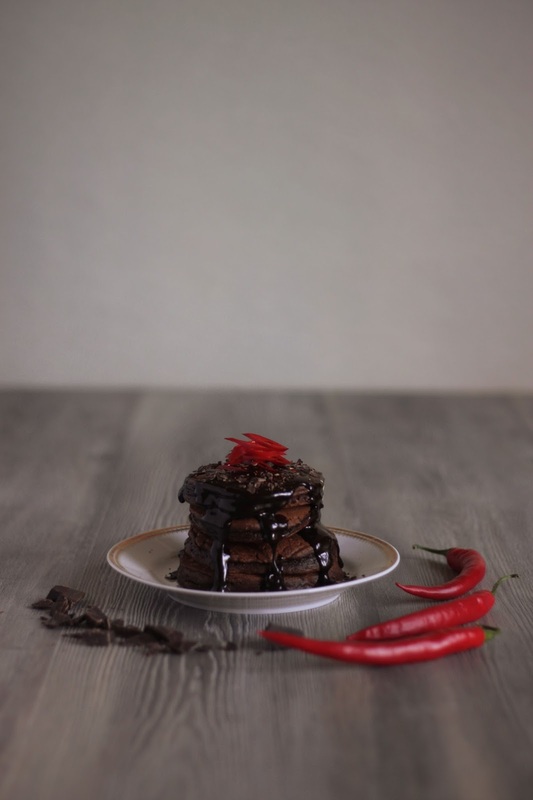 Because we are just about to drop this while its hot: Chocolate chili pancakes! This infamous combination might not be new to you - but have you tried it on pancakes? It started like most of times - there was the urge to cook something different. Plain chocolate pancakes weren't doing it anymore. So we switched to the dark side of the chocolate and the pancake got the burning chili-treatment it has been waiting for so long. 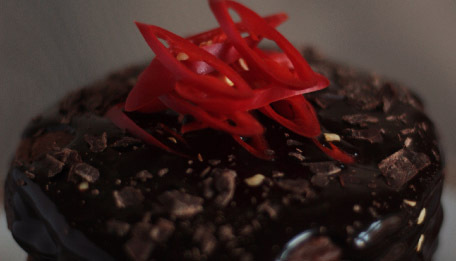 It was important for us to also add something fresh to this sweet sensation. 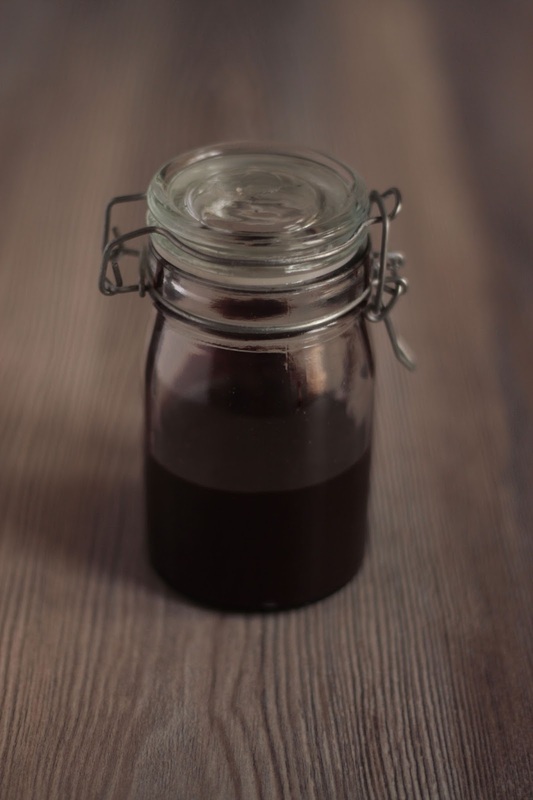 After pouring dark-chocolate-force, we mean SAUCE! over it, we put some finely-chopped chili peppers on top. These hot pancakes would make even Darth Vader take off his helmet! For the sauce you will need 200g dark chocolate and 50g for the pancake batter. Heat up some water in a pot that can hold a glass or a metal bowl. Put the chocolate bar into the glass/metal bowl and watch it melt. And you're already done! Full the sauce into a jar. 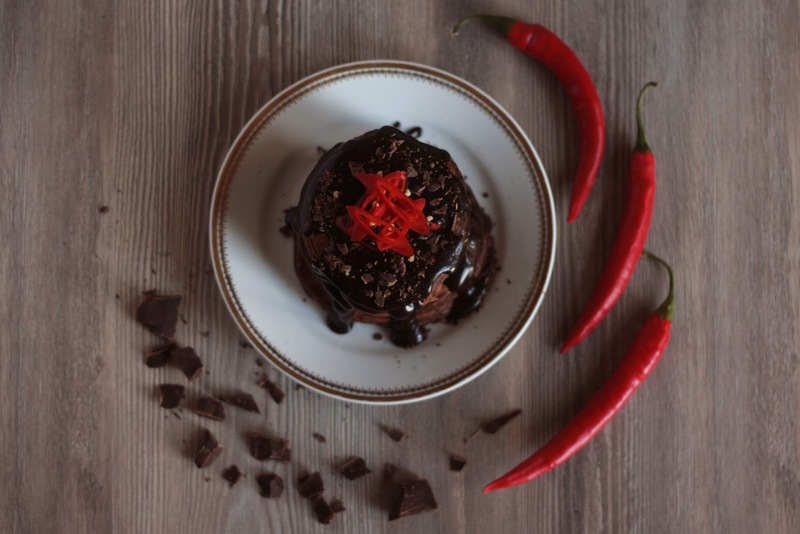 We wanted to contrast the strong chili taste of the pancakes with the harsh flavor of dark chocolate. Start with putting flour, sugar, baking powder and baking soda into a small bowl. Separate the eggs: egg whites go into the big bowl and the egg yolks into the second small bowl. Add some melted and cooled butter to the egg yolk and whisk together (you could also go for 50g sunflower oil instead, but you will get a richer chocolate-y taste with butter). Back to the big bowl - beat the egg white to a level where it looks like snow. Now add 50g melted dark chocolate, buttermilk and some chopped chili peppers and/or flakes. 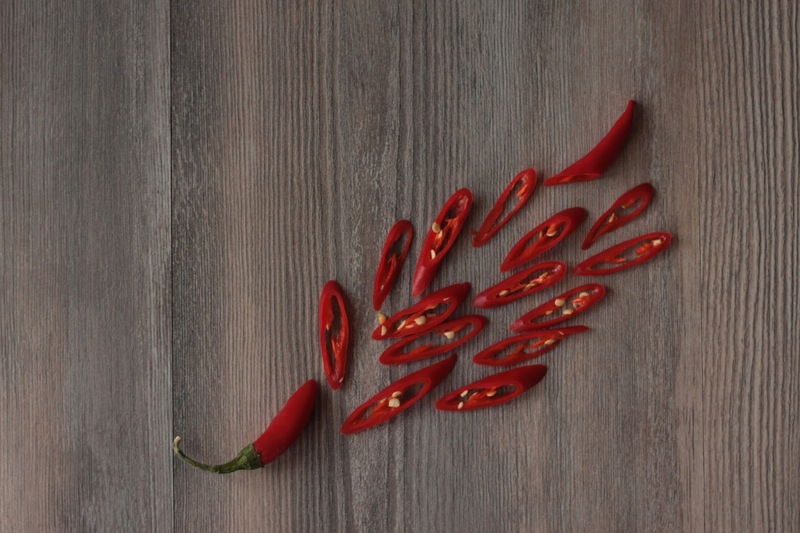 Depending on the hotness of the chili peppers we would recommend to go for the one you would normally cook with. Pour the egg yolk and butter into the big bowl. Stir. Now add the remaining dry ingredients from the small bowl into the big bowl. Now is the perfect time to use the blender to mix the batter (if some lumps are left there that's fine). Put the batter into the fridge for about 20 minutes. You might wanna use that time to clean up that mess you've been making in the kitchen. Alright, now it's time to cook some pancakes! Preheat your pan at medium heat, don't use any oil. Pour in the batter and flip it when bubbles start to appear. Build a nice tower of those yummy chocolate pancakes. Pour the chocolate sauce all over them and put some finely chopped fresh chili peppers and/or flakes. Enjoy the hot meal!